“Computer software and its structures, devices and processes are woven into our everyday life. Their significance is not just technical: the algorithms, programming languages, abstractions and metadata that millions of people rely on every day have far-reaching implications for the way we understand the underlying dynamics of contemporary societies. 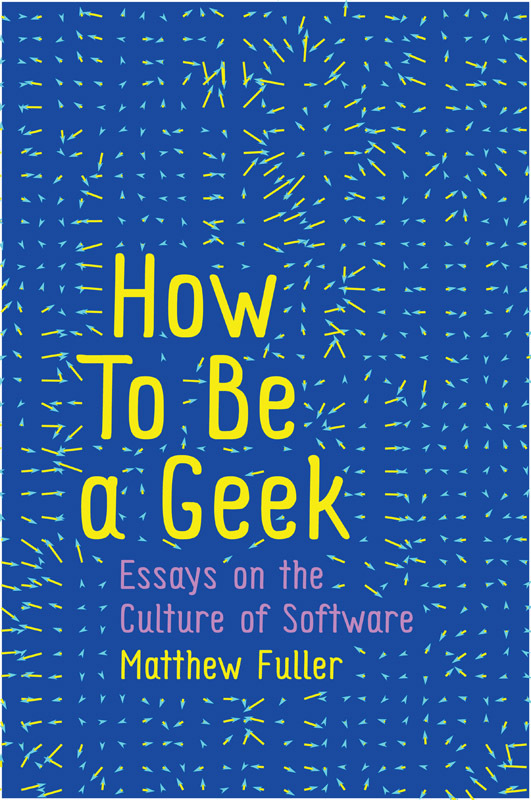 In this innovative new book, software studies theorist Matthew Fuller examines how the introduction and expansion of computational systems into areas ranging from urban planning and state surveillance to games and voting systems are transforming our understanding of politics, culture and aesthetics in the twenty-first century. Combining historical insight and a deep understanding of the technology powering modern software systems with a powerful critical perspective, this book opens up new ways of understanding the fundamental infrastructures of contemporary life, economies, entertainment and warfare.